June 13, 2018, 11:15 a.m. But beyond the crypto talk, how to actually pay for journalism very much remains an unsolved problem. By Laura Hazard Owen @laurahazardowen June 13, 2018, 11:15 a.m. In the future, all of our news will come from and be about blockchain; at least, I assume that’s true, based on the number of pitches that I’ve received over the past few months. The most prominent blockchain journalism startup, Civil — the “decentralized marketplace for sustainable journalism” — took a step forward this week after months of buildup, launching its first two sites, with more on the way. Much of the messaging around Civil has irritated and/or confused me from the start. The endless white paper, the slow buildup of blog posts about the future of journalism long before there was a single actual story to read. It started to feel like Ev Williams’ advertising-is-bad pivot posts but with even less to back them up than Medium’s constantly shifting plan to save journalism. Last year, we covered the hard-to-understand idea behind Civil using more succinct language than anything I’d read in the company’s own promotional materials (though, to be fair, I hadn’t read them very thoroughly). 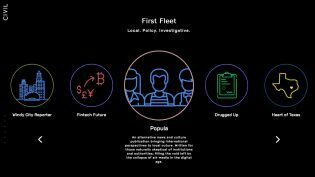 Built on top of blockchain (the same technology that underpins bitcoin), Civil promises to use the technology to build decentralized marketplaces for readers and journalists to work together to fund coverage of topics that interest them, or for those in the public interest. Readers will support reporters using “CVL” tokens, Civil’s cryptocurrency, giving them a speculative stake in the currency that will — hopefully — increase in value as more people buy in over time. This, Civil, hopes will encourage more people to invest in the marketplaces, creating a self-sustaining system that will help fund more reporting. This is going to be against everything The New York Times opinion section stands for. There’s a whole style of argumentation out there that’s grounded in bad intellectual faith. People are trying to do provocations based on partisan self-positioning. The way James Bennet keeps describing the Times opinion operation is great; it’s great to challenge your readers, but that’s not what they’re doing. They’re just poking their readers in the eye and then chortling about it. If there is one thing I try to get across to people in editing them, it’s that somebody is going to find the weakest part of your argument, and it might as well be you. That kind of taking responsibility for what you say, and making sure that it will seem meaningful and defensible to other people, is the thing they just are categorically not doing there. There’s just so much room for a higher level of honest discussion and argumentation. Yes! I thought. I want to read this! And there was Block Club Chicago, the rebirth of DNAinfo Chicago, and a handful of other sites that promised to be doing interesting reporting that, thank goodness, had nothing to do with cryptocurrency whatsoever. “Civil came to us and said they were launching this new platform and looking for ideas, and it was just like a dream come true,” said Mazin Sidahmed, cofounder and senior reporter for Documented, which covers immigration in New York City and which became on Monday the first site to launch on Civil. (It’s been sending out a thrice-weekly immigration newsletter since last month.) Another Civil site, Sludge, which reports on “the role of money in politics and lobbying,” also launched Monday; Block Club Chicago launched this morning, and ZigZag, a podcast run by former Note to Self host Manoush Zamaroudi and Jen Poyant, launches tomorrow. (“A meta-mix of voice memos, taped conversations, come-to-Jesus moments, and mini-stories about entrepreneurship, deciding how to align your values with your ambitions, and building strong partnerships.”) So far, crypto bros are nowhere to be seen. Coolidge says the crypto angle will “be a big function for some people, but it’s going to be a nonfactor for, I think, even more people — which is not only just fine but, I think, preferable. We want to power sustainable journalism. Doing so in a vacuum limited to only those who know or care about crypto would be a really irresponsible response from the get-go. And this isn’t some on-boarding strategy; it’s our long-term play.” He said Civil plans to support payments with traditional currency forever. 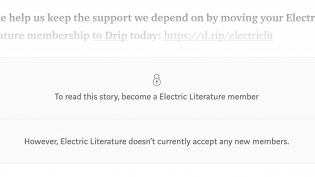 Right now, in fact, a credit card is the only way to donate to a Civil site; if you hit “Donate” on Documented NY or “Subscribe” on Sludge, you get a Stripe popup. Speaking of money: The “First Fleet” of sites to launch with Civil aren’t actually relying on you to hit that Donate button yet. Documented NY cofounder Max Siegelbaum explained to me that Civil provided “a grant for operational costs and salaries for a short time period to get us up and running, and then we’re going to have to make the site financially sustainable.” That’s the case for each of these 13 initial newsrooms. Take that $1 million (coming out of a $5 million funding round that Civil raised from Consensys, “the leading global blockchain venture studio,” last year) and divide it among 13 newsrooms — and then further divide it among those newsrooms’ employees — and you don’t get too far. You could, for instance, pay two employees each about $38,000 for a single year, which isn’t terrible. But then what happens? Okay, I asked Coolidge — let’s just say that, one year in, one of these First Fleet newsrooms is making a little bit of money from readers, but not nearly enough to sustain it. An entirely likely scenario. Do they come back to you for more money? What are they going to do — how long are you going to keep giving it? Another benefit for Civil newsrooms, at some point, will be access to a network of premium services (CMS vendors, payment platforms, and so on) “at much better rates” than an individual would receive, Coolidge said. 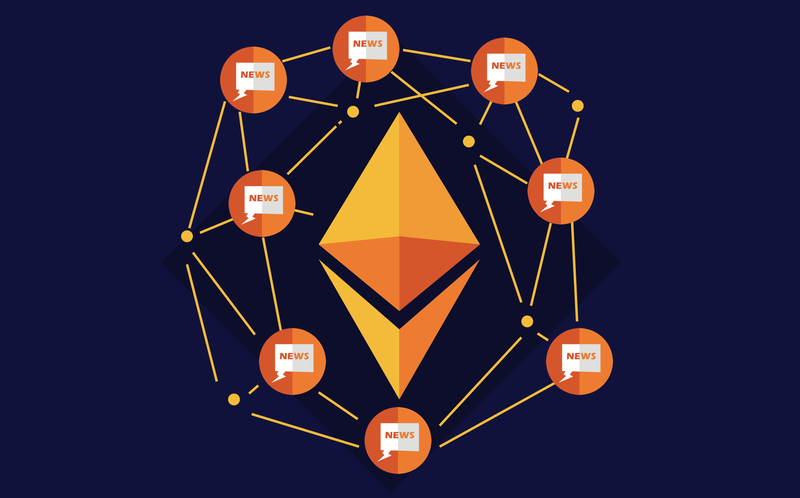 Civil hasn’t launched its CVL tokens (“an ERC-20 token built on the Ethereum blockchain”) yet. But let’s say, hypothetically, an evil billionaire eventually works the system to violate “any of the ethical values outlined in the Civil Constitution” (there is a Civil Constitution, Google Docs draft here) — the Civil community could then appeal that act to decision to the Civil Council, which is run under the Civil Foundation, which is led by a newly hired Vivian Schiller; it’s an “appellate body functioning in a Supreme Court–like matter” that will have the power to overturn the community’s decision, which could then be re-overturned only by a community supermajority vote — oh, if this all really turns out to be the future of journalism I’ll feel bad for writing about it slightly mockingly, but anyway, that’s the plan. POSTED June 13, 2018, 11:15 a.m.
Owen, Laura Hazard. "Civil promises that you don’t have to care about blockchain to care about what it’s doing (also, its first newsrooms just launched)." Nieman Journalism Lab. Nieman Foundation for Journalism at Harvard, 13 Jun. 2018. Web. 25 Apr. 2019. Owen, Laura Hazard. "Civil promises that you don’t have to care about blockchain to care about what it’s doing (also, its first newsrooms just launched)." Nieman Journalism Lab. Last modified June 13, 2018. Accessed April 25, 2019. https://www.niemanlab.org/2018/06/civil-promises-that-you-dont-have-to-care-about-blockchain-to-care-about-what-its-doing-also-its-first-newsrooms-just-launched/.